Are you a hands on tool fitter with a background repairing and maintaining a variety of small tools and small plant equipment including, saws, grinders, breakers, chainsaws etc in a workshop based environment? If so you maybe well suited to this role. The UK's leading Plant and Tool Hire Company a recruiting for a Tool Fitter to join their growing team in Leicester. If you're looking for an opportunity to progress and develop in an award winning company this maybe something to take a look at. Are you a hands on tool fitter with a background repairing and maintaining a variety of small tools and small plant equipment including, saws, grinders, breakers, chainsaws etc in a workshop based environment? If so you maybe well suited to this role. The UK's leading Plant and Tool Hire Company a recruiting for a Tool Fitter to join their growing team in Leicester. If you're looking for an opportunity to progress and develop in an award winning company this maybe something to take a further look at. 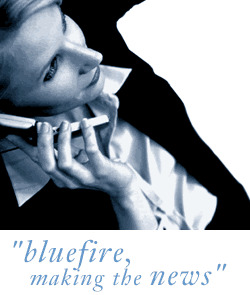 Bluefire Consulting are the recruitment agency working on this vacancy.